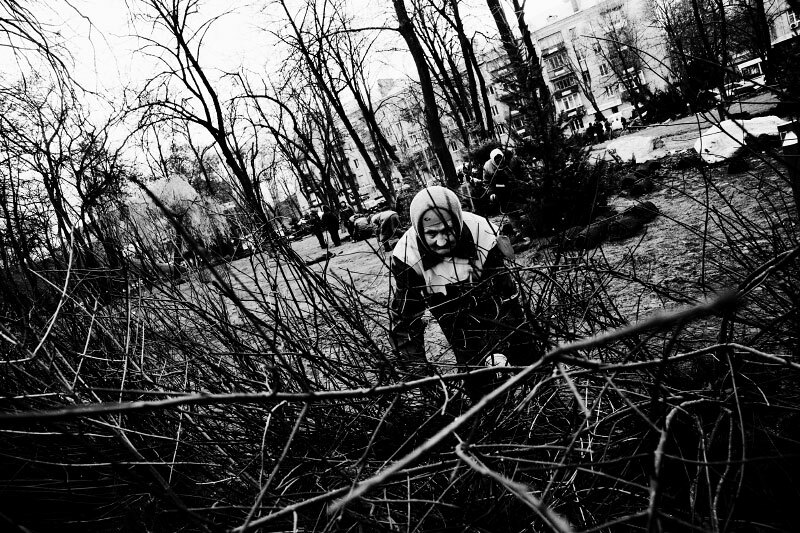 Even elder people take a hard physical labor, like this woman planting lawn and cleaning a park, as the economic crisis has started to hit Ukraine. Kiev. Nov 21 2008.